Short sales help many purchase homes at bargain prices. When a homeowner owes more on their home loan than the property is worth, he may ask his lender for a short sale. This lets him sell the home with the lender forgiving the balance on the mortgage. The lender will only allow this if the borrower is unable to make his payments as agreed. Credit unions are known for more local and personalized service, and they may be easier to work with than larger banks with short sales. Using a good professional can speed the process considerably. If you have already found the house that you want, you may be able to skip this step. However, a good real estate agent will make the process of purchasing a short sale home go much more smoothly. You want an agent who has experience with short sales, and experience working with the credit union that you are interested in purchasing from will help. The agent will have the contacts that you need to get the deal done and can leverage those contacts to make the purchase go more smoothly. Ask for references from the agent for previous clients that she has helped successfully purchase short-sale property. You can contact the credit union directly and ask about available properties. This is less effective than utilizing a skilled real estate agent unless you know of a specific property from another source. 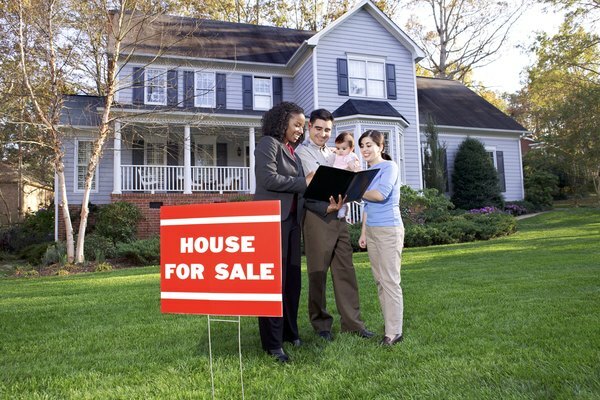 The real estate agent will have listings of houses that sellers are looking to sell as a short sale. She can work to match the listings to the criteria that you desire, such as the number of bedrooms and overall space in the home. The skilled agent can help you locate the best property for you, no matter who holds the mortgage. Once you have found your dream property, you will need to make an offer to purchase it. While the owner is technically selling the home, the credit union with the mortgage must agree to the offer, as it is forgiving a portion of the loan. If you are dealing directly with the credit union, you will make this offer directly to a representative. If you are working with a real estate agent, she can assist you in making the offer. You will need to also put down an earnest deposit, which is money that the seller gets to keep if you violate your contract. The negotiation phase can take some time, depending on the lender and how quickly it reacts to your offer. Your offer includes the price that you are willing to pay for the property in addition to defining other terms of the purchase, such as the terms of the mortgage you are willing to accept to purchase the property. Once you have an agreement to the purchase accepted by the sellers and the credit union holding the mortgage, you will proceed towards a closing. The amount of time that it takes to close a short sale transaction varies depending on the lender and how quickly it can process the transaction. You can speed the process by having your financing in place quickly in addition to responding quickly to requests for documentation or other information from the seller, the lending credit union and the real estate agent. How Much Should You Pay a Buyer's Agent if You Are Selling Your Home Yourself? Can Executors Do a Short Sale of a Home?